Today, in B2B marketplaces, we are seeing the rise of social media expand at a rate unexpected as we climb out of the financial crisis stupor markets found themselves in the past three years. 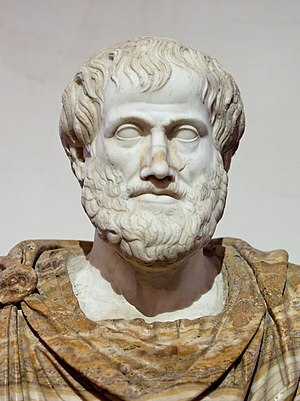 Amounting to as perhaps Aristotle might say if he were present today – a new means for people to achieve goals. With all the chatter about social media, have we lost sight of this important and consistent fact about human behavior and choices? Distinguishing a set of motivations, needs, and wants from a buyer’s goal orientation can make a significant difference in not only innovation but in aligning customer strategy with buyer goals. Over the years, businesses have come up with many means and methods to attempt to understand buyer’s current status of motivations, needs, and wants. Focus groups, online surveys, customer satisfaction questionnaires, win-loss analysis, needs analysis, customer advisory groups, user groups, competitive intelligence, and more to name a few. All can offer helpful information and insight into how to better meet the needs of customers. To deeply understand why buyers buy requires a deep understanding of buyer’s goal orientation. Attaining such a deep understanding is no easy task but the use of qualitative and experiential analysis rooted in anthropological principles offers the best means for this understanding. Buyer personas - more importantly the buyer persona development process versus buyer persona profiling - are a means for acquiring this understanding of buyer’s goal orientation and serving as a means to help businesses understand why buyers buy. Enlightened with this deeper understanding, B2B businesses are enabled to develop customer strategies that are aligned with buyer’s goal orientation. As we see the rise in different means and methods, such as digital and social communities, understanding buyer’s goal orientation not only will become increasingly important but will be increasingly difficult to understand. The buyer persona development process is a means for conducting sound experiential analysis with buyers that reveal the deep insights into buyer’s goal orientation. In turn, businesses will be able to make sense of the many new means and methods evolving today and determine how to produce the appropriate mix that best meet their buyer’s goals.